"As we always say, 'Expect the unexpected,' but sometimes the unexpected gets ya and that's what happened. Nobody expected that." September 11th, 2001 is the most documented tragedy in history, starting with the live coverage to the countless stories, both large and small, that have been told since that day. On that morning, eight men from Rescue 3 of the New York City Fire Department rushed to the World Trade Center on life-saving missions and would never return. New York Firefighters focuses on the surviving members of the family that is known as Rescue 3 and explores the effects on the unit and its larger family in the aftermath. This is a well-made documentary that rises above mawkishness to provide a poignant glimpse into the lives of these often ignored heroes who, even on normal days, risk their lives to fight fires and other disasters. If there has been any aspect of the 9/11 tragedy that is positive, it is the way that our perceptions of what is important has been altered. People like firefighters, rescue workers, and police, who are always underpaid, understaffed and presented with unrealistic demands, have assumed a new level of appreciation that should not be allowed to fade. To hear the story of a man who devoted 11 years of his life to fighting one of the most persistent and dangerous scourges of urban existence, a fire, and had his life snuffed out in a instant cannot help but make one pause in following the latest bizarre antics of some overpaid, over-sexed, over-exposed celebrity. Stockard Channing provides a very straightforward and effective narration. The direction and writing are all quite sufficient for what must have been a rushed production. There is quite a bit of detail about the day-to-day work lives of these squads and the history of firefighting in New York. This documentary would seem to have a somewhat narrow potential audience but is well worth it for those who are interested in a fine depiction of human beings rising to a situation. Image Transfer Review: Like other documentaries from Artisan and the Discovery Channel, the image quality is very good. The full-frame presentation is rich and crisp in color and balance. Audio Transfer Review: The audio transfer is quite sufficient and weaves the various sound elements into a decent presentation that befits the disc. Extras Review: Not much in the way of extras, but that is not the focus of this disc, which is a fast release of a timely topic. 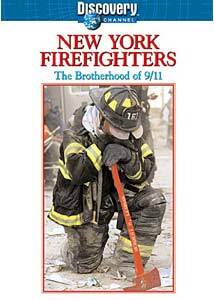 A compelling and interesting slice of the history of 9/11 that focuses on one unit in the New York Fire Department, to examine the effects of that tragedy on the people involved. A well-made documentary about a difficult subject.